An elegant ad for an upcoming newsletter quotes a student in the Bronx. 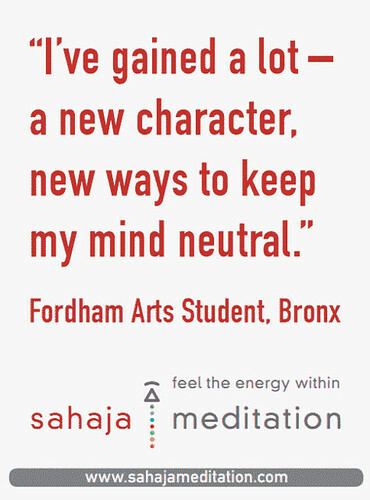 Can you summarize your Sahaja Meditation experience in a sentence like this? Tell us in the comments section below. School gymnasiums can invoke a whole spectrum of emotions. 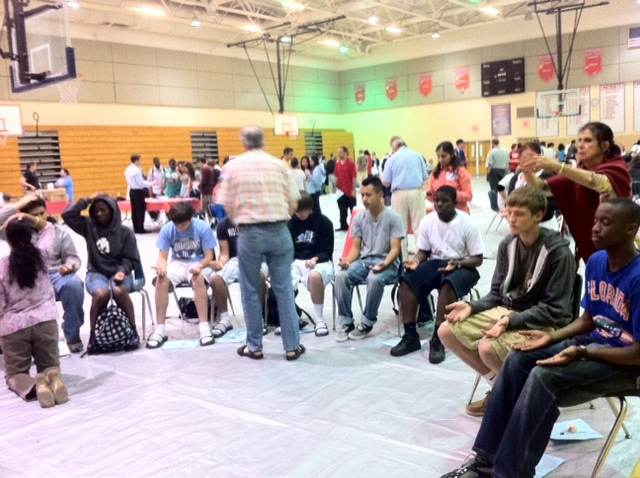 But a new set seemed to emerge from the children at Freedom High School in Tampa, Florida as they sat down for a few minutes to meditate. After a few minutes of Sahaja Meditation instructions imparted by the program conductors, they began to calm down into a state of bliss and awareness. The Health Fair conducted by HealthCorps in many schools all over America provides students to experience a whole range of healthy choices. Healthy behavior is not automatic in humans, whether young or old. A lot depends on self-efficacy – “Am I really capable of achieving a better decision, standard or choice?”. Meditation, especially the Sahaja kind improves self-efficacy through a direct connection with the self. However, the most reliable indicator of success is the social factor. Those who experienced the exercises, were willing to fetch their friends to come back and experience the phenomenon that meditation is.